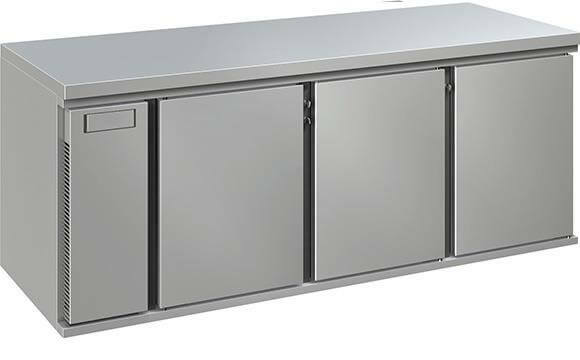 Style, performance and flexibility in the ultimate refrigerated gastronorm counter expressly designed for FOH. 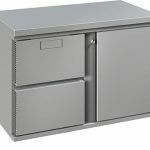 Straight lines drive through the entire counter, with the interruption dividing top and bottom drawers continuing, with exactly the same gap, on the technical compartment. 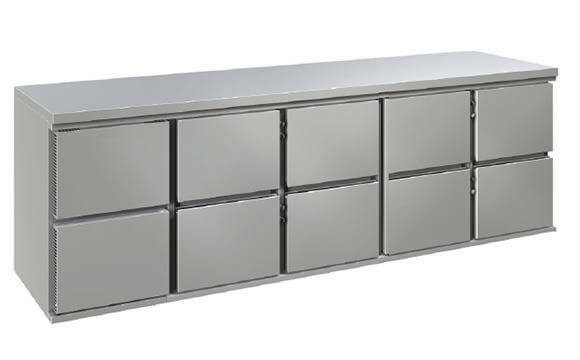 The same infra-drawers gap repeat itself, as a stylish cypher frame, above each door or drawer combination. 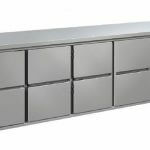 Each drawer block or door has got the same width of the technical compartment, which becomes therefore almost undistinguishable from the refrigerated parts. 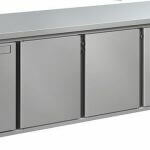 Fully-welded handles are carved inside each front panel, thermostat is hidden behind our exclusive push-to-open system, and the only aeration holes for the refrigerating group are at the sides of the technical compartment, leaving the whole frontal surface clean and flush. 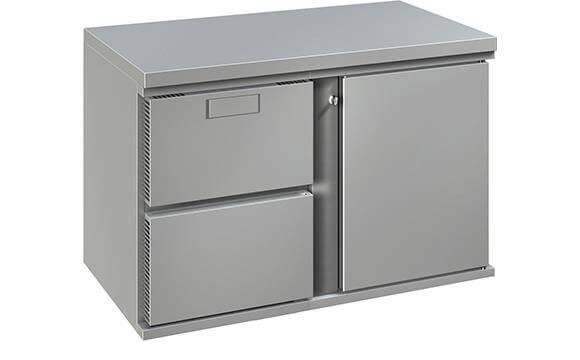 Available on 3 body heights: 660, 710 and 760 mm, from 1 to 4 compartments. Refrigeration temperature : -1°C/+10°C, freezer: -15°C/-20°C. Currently not available for sales. Line under review.